The Spring Catalog and Sale-a-bration kicks off January 3rd, 2019. 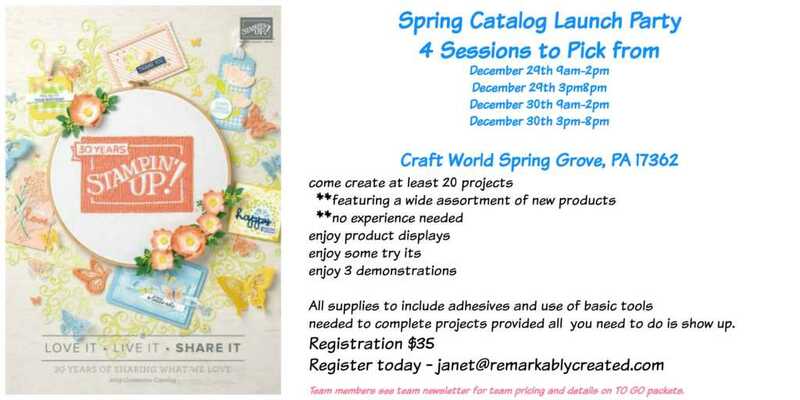 Join me at one of 4 Live Launch Party events or order a TO GO packet. Event open to everyone. Keep reading for details. All supplies to include adhesives and use of basic tools needed to complete projects provided all you need to do is show up. *Click here to register today (US only). *To Go Packets will ship week of January 5th.